Good location for this Roda Golf townhouse on phase 2. 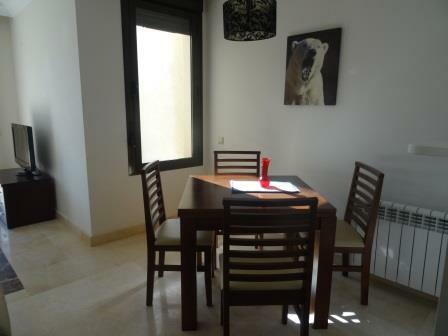 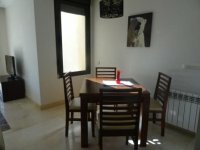 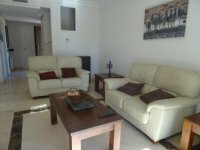 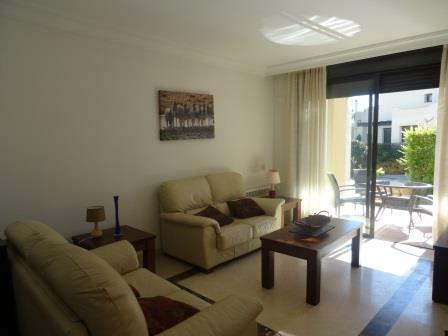 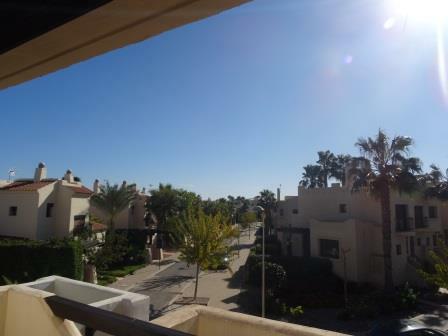 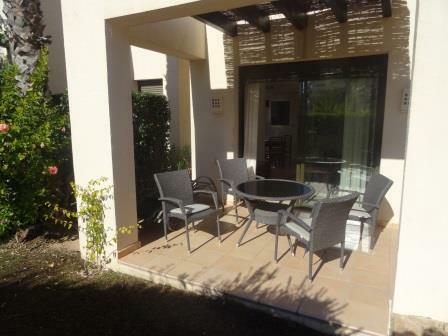 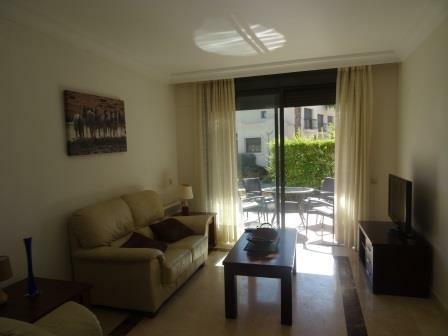 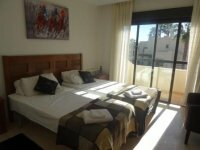 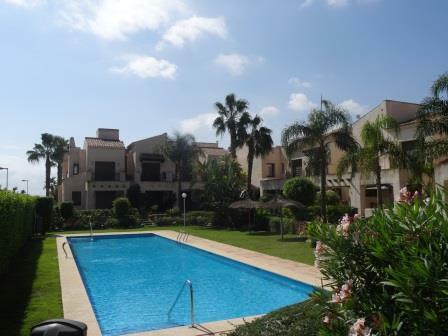 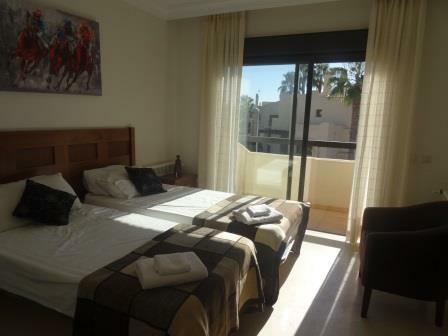 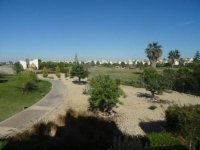 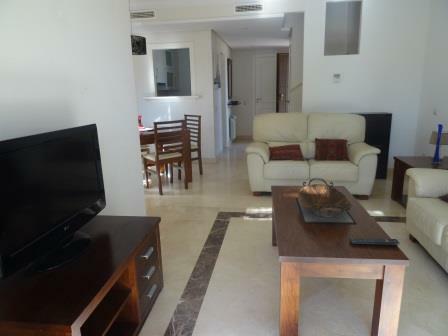 A very nice and spacious 2 bedroom semi detached townhouse with golf course views on Roda Golf in Los Alcazares. 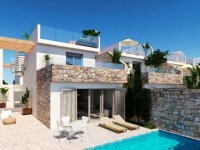 Located in a quiet, private area on phase 2 of Roda Golf, right at the end of the detached villas, is this very nice townhouse, furnished to a very nice standard throughout and comprehensively equipped and all included in the sale. The townhouse has a South facing orientation so enjoys all day sunshine, however there is a sun shade over the terrace, which is an elevated position offering privacy. 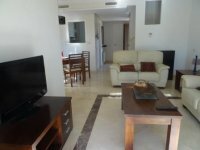 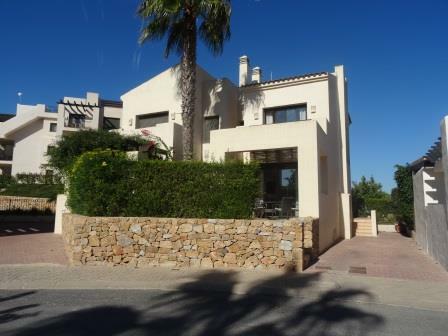 This property on Roda Golf is perfect for rentals if required, there is off road parking on the private drive and good golf course views from bedroom number 2. 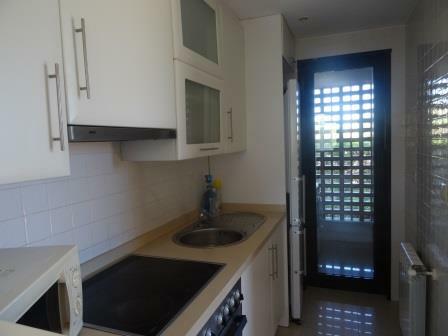 The kitchen has a utility room off it, where the washing maching and boiler is kept, this semi detached townhouse is larger than the average, so the living area is quite spacious, the downstairs wc has the extra benefit of a new shower having been installed. 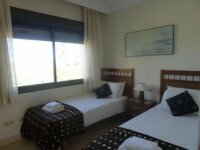 The communal swimming pool is just a short stroll and the golf cluhouse and all amenties, including gym and mini market are just an 8 minute walk. 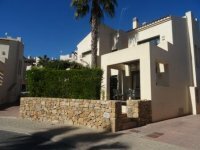 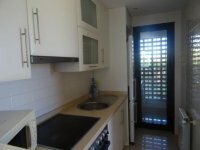 A really good price for this 2 bedroom Roda Golf semi detached townhouse now just 129,950 Euros to include all furniture and air con.